After putting Whitesnake on hold, David Coverdale took "private time to reflect" and re-assess his career direction. He was soon put in touch with ex-Led Zeppelin guitarist Jimmy Page, and after meeting up in March 1991, a joint project was set in motion. 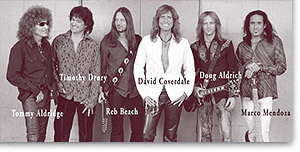 Although the titles Legends and even Led Zeppelin were touted for their new group, they settled on Coverdale Page, and began recording a debut album in late 1991 along with bassists Ricky Phillips (Bad English) and Jorge Casas (Gloria Estefan's Miami Sound Machine), and drummer Denny Carmassi (from Heart). After a great deal of pre-publicity from EMI, 'Coverdale Page' was released in March 1993, hitting the top 5 in both the US and UK album charts. Despite the strength of the album (which was heavily derivative of Led Zeppelin), it disappeared from the charts with unexpected speed, and projected ticket sales for a US summer tour were poor enough for the whole thing to be cancelled. Caught up in a recession which was hitting other 'classic' rock artists at the time (Deep Purple's 1993 US tour also didn't happen), the band were reduced to just playing shows in Japan. A touring band was put together using Carmassi from the album musicians, with new recruits Guy Pratt on bass (who had toured with the post Roger Waters version of Pink Floyd), and ex Dave Lee Roth keyboard player Brett Tuggle. The band performed a selection of new material with Led Zep and Whitesnake tracks mixed in, before going their separate ways after the show in Nagoya on December 22nd 1993. With old Led Zep vocalist Robert Plant now amenable to working with Page once again, he began to plan 1994's MTV 'Unledded' show, while David Coverdale was soon back in action with a new line-up of Whitesnake. EMI/Geffen's July 1994 Whitesnake 'Greatest Hits' compilation was a resounding success in the UK, reaching no.1 in the album charts, but performed more disappointingly in North America. 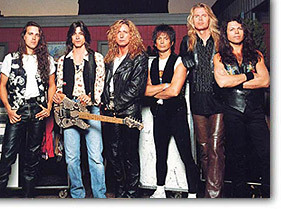 In conjunction with its release, David Coverdale put together a new lineup of the band, which toured Europe, Japan, and Australia between June and October 1994. Old hands Adrian Vandenberg and Rudy Sarzo rejoined from their Manic Eden project, along with new members Denny Carmassi (fresh from Coverdale Page), Warren De Martini (ex Ratt), and Cher's keyboard player and arranger Paul Mirkovich. The tour concentrated on the 1984-89 material, although after its conclusion Coverdale pointedly distanced himself from the glitz of the era in question, and began to record an album with the aim of resurrecting the rootsier spirit of the band's early years. 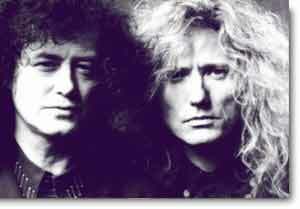 "Restless Heart" was recorded using a mixture of personnel from Whitesnake Mk11 (Vandenberg and Carmassi) along with members of Coverdale Page's touring band (Guy Pratt on bass, and Brett Tuggle on keyboards). Originally intended as a solo project, it appeared with relatively little fanfare under the 'David Coverdale & Whitesnake' banner in June 1997, receiving favourable reviews and modest sales. The single 'Too Many Tears' (a '1987' era out-take), similarly stalled in the UK chart at #46. It's monochrome promo video (featuring future member Marco Mendoza on bass) was as downplayed as 1990's 'Now You're Gone' had been overdone. The tour (which ran from September to December 1997) took in Europe and South America. It was (prematurely) labelled as Whitesnake's farewell tour, and described at the time by Coverdale as "the last tango.. the last hurrah". The live band included Carmassi and Vandenberg, along with session keyboard player Derek Hilland, ex Mister Mister guitarist Steve Farris, and ex The Firm bassist Tony Franklin. Initial promotion for the album lead to one of the David Coverdale's most worthwhile side projects. While on the European TV and radio circuit, David performed a short acoustic set in Poland accompanied only by Adrian Vandenberg on guitar. This went so well that a show was performed and filmed at EMI Studio 3 in Tokyo on July 5th 1997, and released in Japan as 'Starkers In Tokyo' on CD & DVD. The CD was eventually put out in Europe. 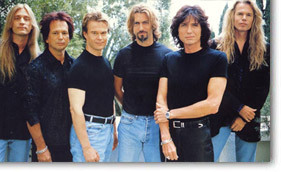 Once the tour was over David Coverdale began work on a new album using Hilland, Franklin, and Carmassi from Whitesnake Mk12, which emerged as a solo album in 2000. 'Into the Light' was favourably compared with 'Northwinds', but failed to sell. As a result of this and an all round shedding of older acts, EMI dropped Coverdale from their label soon after. David's only live appearance around the time was a guest duet with Glenn Hughes on 'Burn' at a special show in America, and aside from involvement in his website he temporarily drifted out of public view. David Coverdale's career was publicly reactivated on Christmas Day 2002, when he announced on his website that Whitesnake would begin touring in the new year. The personnel only included drummer Tommy Aldridge from previous line-ups, the new men being Marco Mendoza (who had contributed to 'Into The Light') on bass, Doug Aldrich (ex Dio) on guitar, Reb Beach (ex Winger) on guitar, and Timothy Drury (The Eagles) on keyboards. Whitesnake began their first US tour in over 12 years in Jacksonville, on January 29th 2003, shortly after Geffen's 1984-1989 compilation CD 'Here I Go Again' hit the shops, and spent a large part of the year on the road, largely on the classic rock nostalgia circuit. This was particularly the case in the UK, where they toured successfully with Gary Moore and Y&T under the 'Monsters Of Rock' banner. A variety of compilations also appeared in Europe. Without any new studio product, the 2004 tour was recorded.The show from Hammersmith Apollo was released on DVD as 'Live...In The Still Of The Night' in January 2006 and sold well. By then Marco Mendoza had upped sticks for his Soul Sirkus project, to be replaced by session bassist Uriah Duffy. Uriah Duffy joined Whitesnake with the band's fortunes on a slow upward curve. They kicked off their June 2005 US tour as "The Rock n' Roll, Rhythm & Blues Show", and have continued to play to large audiences worldwide. A live album recorded during 2006 was released later in the same year as "Live In The Shadow Of The Blues" (Coverdale having switched labels to SPV for this) with the additional teaser of four new studio tracks. During 2006 Coverdale also oversaw the remastering of half a dozen of his older Whitesnake albums, plus a special twentieth anniversary edition of 1987. With Whitesnake off the road in 2007, Tommy Aldridge went on tour with ex-Whitesnake members Marco Mendoza and John Sykes in the tribute incarnation of Thin Lizzy (including a support slot on Deep Purple's 2007 UK tour). It was eventually announced in December that he was being replaced in Whitesnake by ex Steve Vai band drummer Chris Frazier. The announcement of Chris Frazier's addition to the ranks mentioned that he had already added drum parts to Whitesnake's new studio album. 'Good To be Bad' was released in the spring of 2008, and was a huge hit in many parts of the world. It reached the top five in the UK album charts, and was backed by a series of tours lasting into August 2009, when a US tour along with Judas Priest was pulled due to David Coverdale suffering voice problems. The departures of Duffy and Frazier were announced in June 2010, along with news that the new drummer was to be Brian Tichy, formerly of Billy Idol's band, Foreigner and Lynch Mob. On 20 August 2010 ex Lynch Mob player Michael Devin was confirmed as Whitesnake's new bassist, together with the news that he would appear on Whitesnake's.forthcoming studio album. A further change of personnel was announced on 13 September 2010, with Timothy Drury leaving for pastures new. The announcement mentioned that work on completing the new album would take priority over filling the keyboard positon. Drury returned temporarily to plays keys on the album, and new keyboard player Brian Ruedy was only drafted in during March 2011, in time for the beginning of a new world tour. "Forevermore" was released in the same month to a generally positive response, reaching #12 in the UK charts despite having been made available earlier as part of a "Classic Rock" magazine special. Brian Tichy announced his departure in early January 2013 in order to pursue his Something Unto Nothing (S.U.N.) project. With Japanese and UK tour dates planned for May his replacement was revealed in the same month and proved to be a familiar name - Tommy Aldridge, back for his third stint in the band. Coverdale Page's only album. Jimmy Page's strongest post-Led Zeppelin collection, and a major US & UK hit. Originally conceived as a Coverdale solo album, recorded with Adrian Vandenberg, and members of the Coverdale Page touring band. 1980s Whitesnake tracks. Features only Coverdale and Vandenberg. Excellent solo album partly utilising ideas originally intended for Coverdale Page's aborted 2nd album. studio tracks. Some of the live tracks have also been used as bonus tracks on the '1987' and 'Slide It In' remasters. Powerful album in the style of late 1980s Whitesnake. The US edition came with a bonus track containing 6 tracks from 'Live In The Shadow Of The Blues' and a promo video for 'Ready To Rock'. Very decent follow-up to "Good To Be Bad". Bonus tracks usually alternate mixes of album tracks, excpet for the UK "Classic Rock" edition which included two live tracks from Donington 1990. The Japanese Restless Heart featured 3 bonus tracks: Anything You Want / Can't Stop Now / Oi (instrumental). The 2006 Live In The Still Of The Night DVD (see below) includes a ltd edition nine track CD from the same show. Same music as the CD version, but with a few 'out-take' clips of songs such as 'Only My Soul'. Only officially released in Japan. Some of the tracks were used as extras on the 'Slide It In' and 'Slip Of The Tongue' remasters. 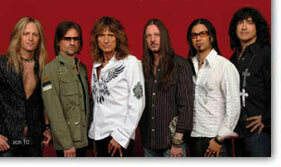 Whitesnake Mk13 show from Hammersmith 2004. Opens with Burn, but mostly consists of 1984-87 era Whitesnake tracks. Some of the tracks have also been used as extras on the '1987', 'Slide It In' and 'Slip Of The Tongue' remasters. A DVD collection of Coverdale and Whitesnake promo videos has been mooted. Coverdale Page made promos for 'Pride & Joy' and 'Take Me For A Little While'. 'Too Many Tears' and 'Don't Fade Away' from Restless Heart had promos made for them, as did 'Love Is Blind' from Into The Light. 'A limited edition of ' Good To Be Bad' came with a bonus CD containing four tracks: Summer Rain (acoustic version), All I Want All I Need (radio edit), Take Me With You (live version - origin unknown), Ready To Rock (enhanced video). A further ltd edition from 2011 (keep up!) included a bonus DVD called 'Still Good To Be Bad', a Japanese only release originally planned to be relesed by SPV in 2009 before they hit difficulties and it was shelved. It includes promos for 'Ready To Rock' and 'Lay Down Your Love' along with seven tracks from an April 2008 acoustic performance at The Cutting Room, New York, an electronic press kit for the album, and an interview. © 2013 DPAS/Darker Than Blue.